This is a special compilation for mostly Singaporean and Malaysian hawker centre’s cakes (kuih) and snacks. Most of the local Singaporean and Malaysian have take for granted this kuih’s and snacks as it is easily available at reasonable price in the hawker centres, road side stalls or coffee shops. However, for overseas readers, they have missed the snack and will try to replicate based on whatever local cooking ingredients that they have. 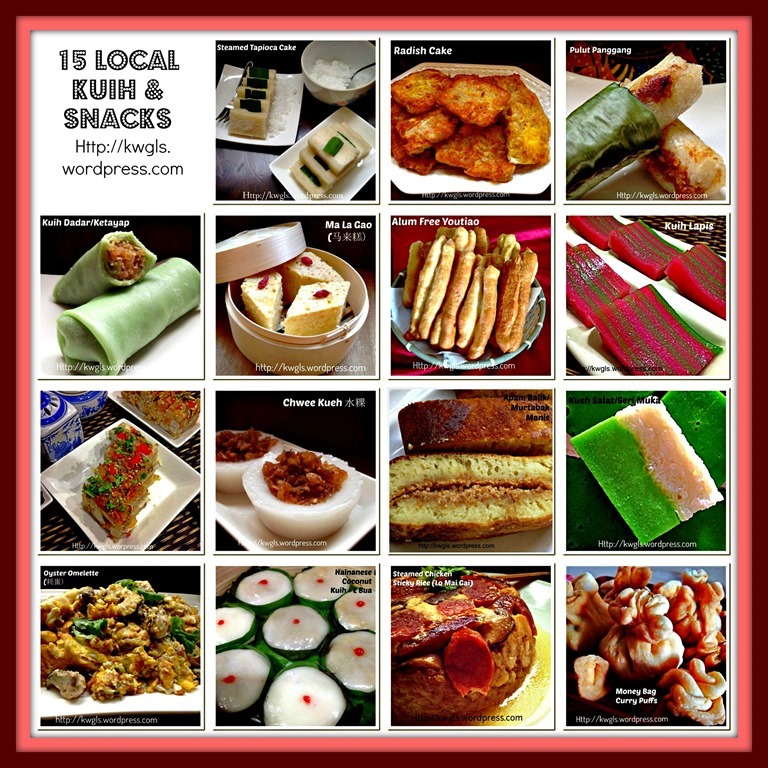 The list will continue to be added as I have vowed to have more Asian snacks and Kuih recipe’s in the future. Click on the blue colour link to the respective recipes. 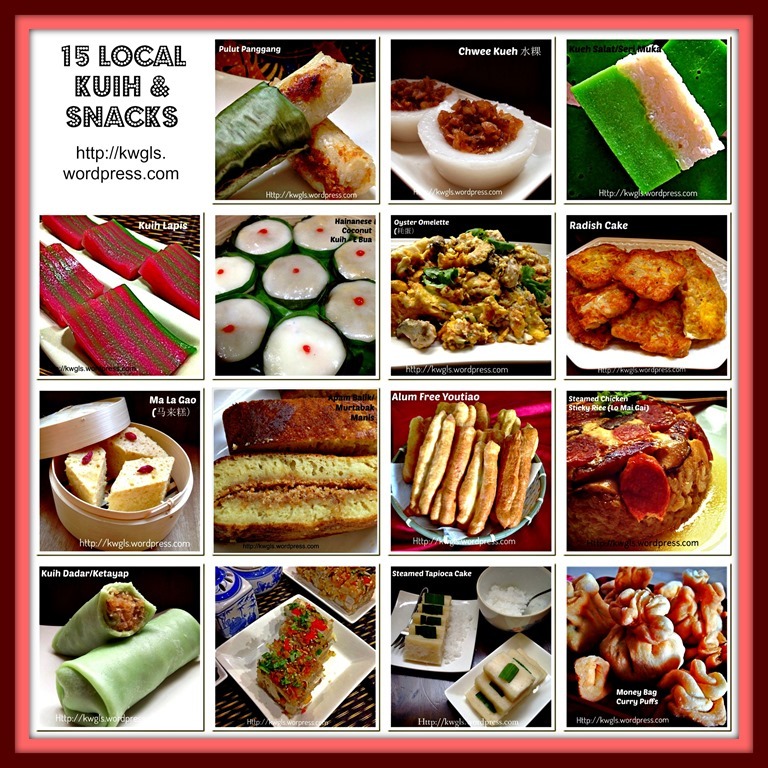 This entry was posted in Chinese and Asian Cakes and Snacks, Food Preparation Series, Snacks, Special compilation and tagged 8, GUAI SHU SHU, Guaishushu, kenneth goh, Malaysian Kuih's, Malaysian Snacks, postaday. Bookmark the permalink.